This is it! 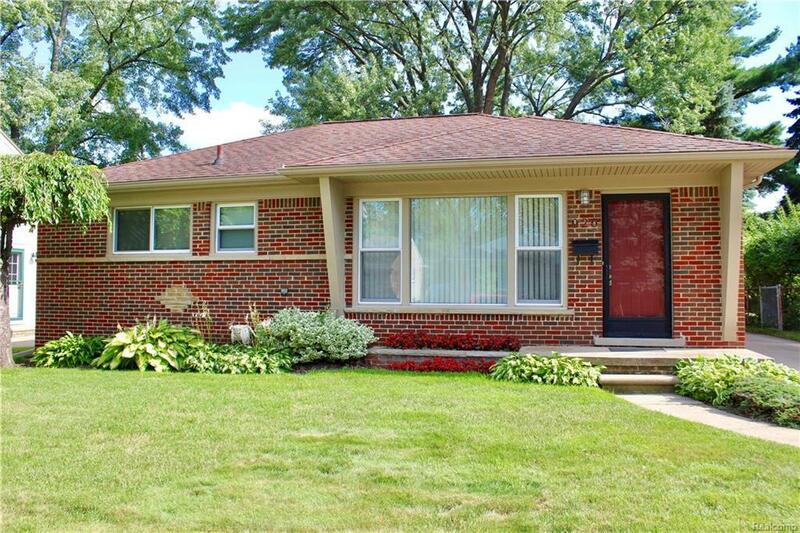 The beautifully maintained mid-century brick Ranch with 3 bedrooms, 2 full baths, oak hardwood flooring (under Berber carpet) and updated ceramic tiled main bath. Very nice Euro-style kitchen with stainless steel appliances. Newer windows, updated plumbing, electrical, roof (02), and much more. The yard features a paver patio, generous green space, and a large 2 car garage. Located in a great Royal Oak neighborhood. You can Make Home Here!